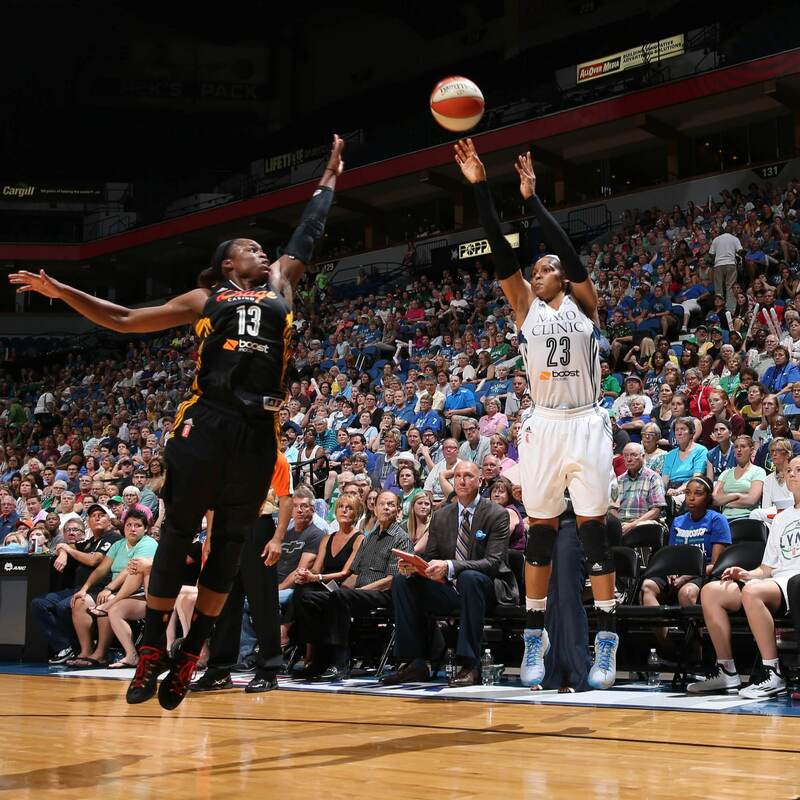 The Lynx suffered a tough loss on Sunday night, losing to the Tulsa Shock 86-78. The Lynx now fall to 5-2 on the season while the Shock improve to 6-1 and now have sole possession of first place in the Western Conference. Here are some of the best photos from Sunday night’s action. Shock guard Riquna Williams came off the bench and had a huge game, scoring 17 points while adding three rebounds, five assists and three steals. 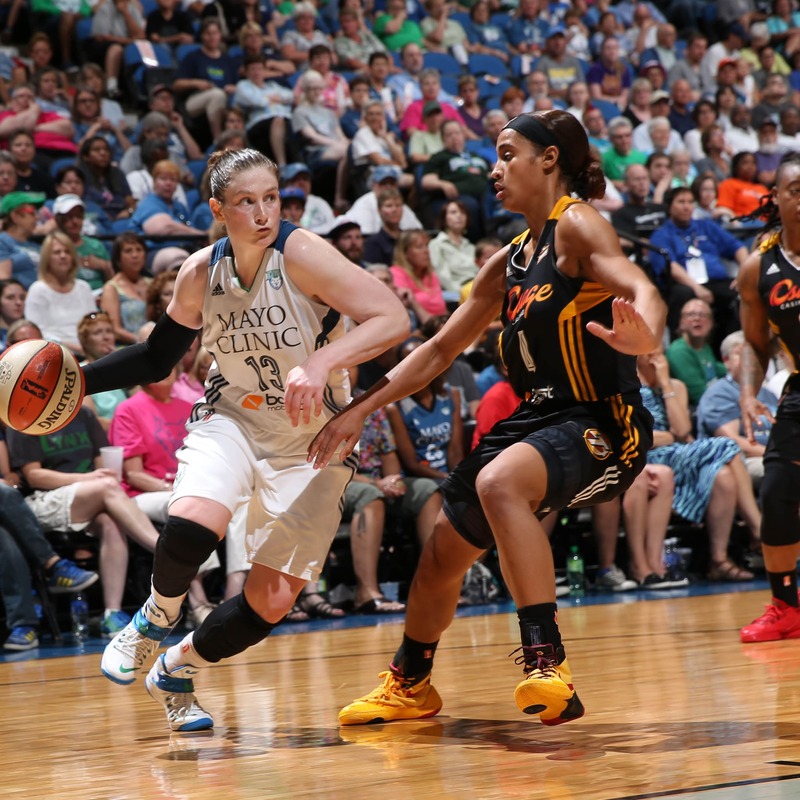 Lynx guard Lindsay Whalen struggled against the Shock, scoring just seven points on 3-of-7 shooting while committing four turnovers. 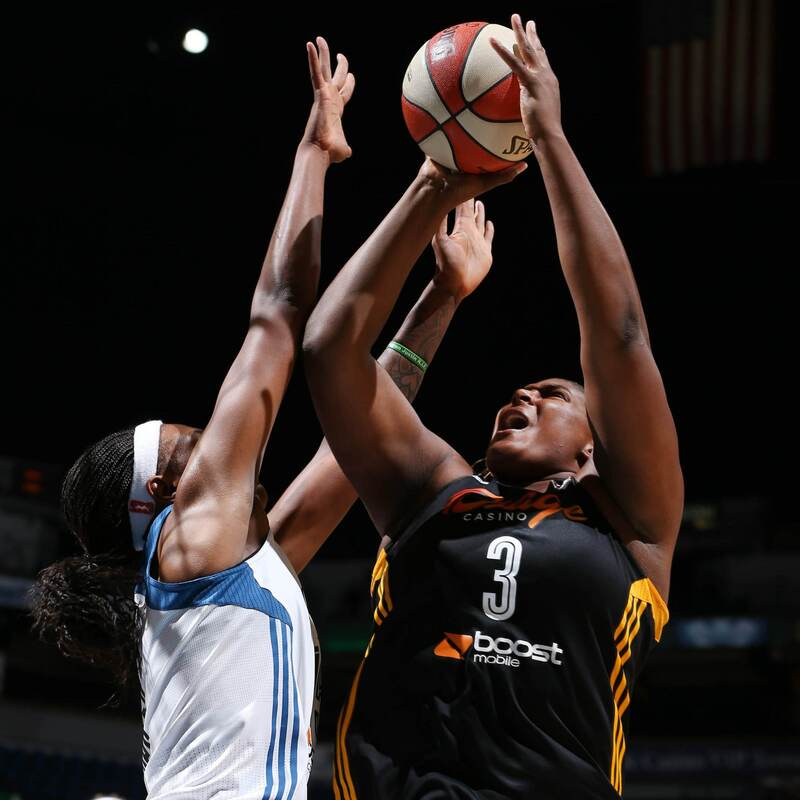 Shock center Courtney Paris provided Tulsa with multiple second-chances and helped the Shock control the paint. Paris finished with 16 points and 11 rebounds. 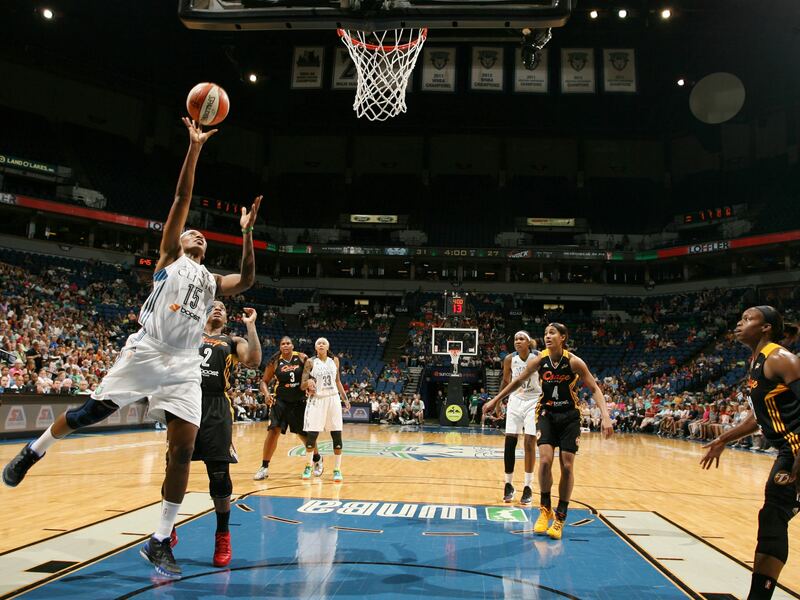 Lynx forward Maya Moore finished the game with 16 points, eight rebounds and six assists. 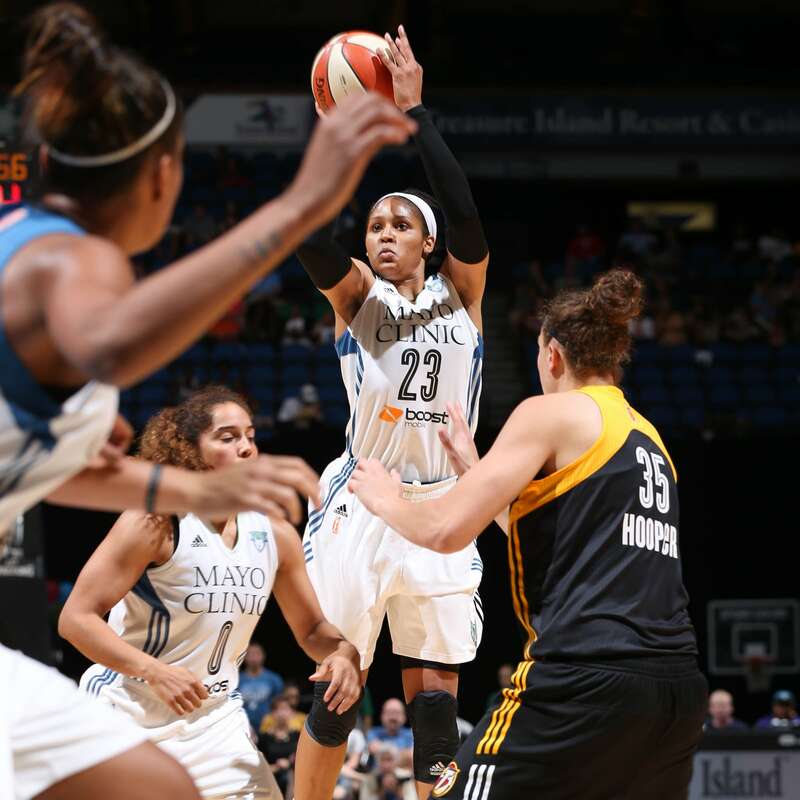 Despite nine early points, Lynx forward Maya Moore could only manage seven points through the final three quarters of the game. 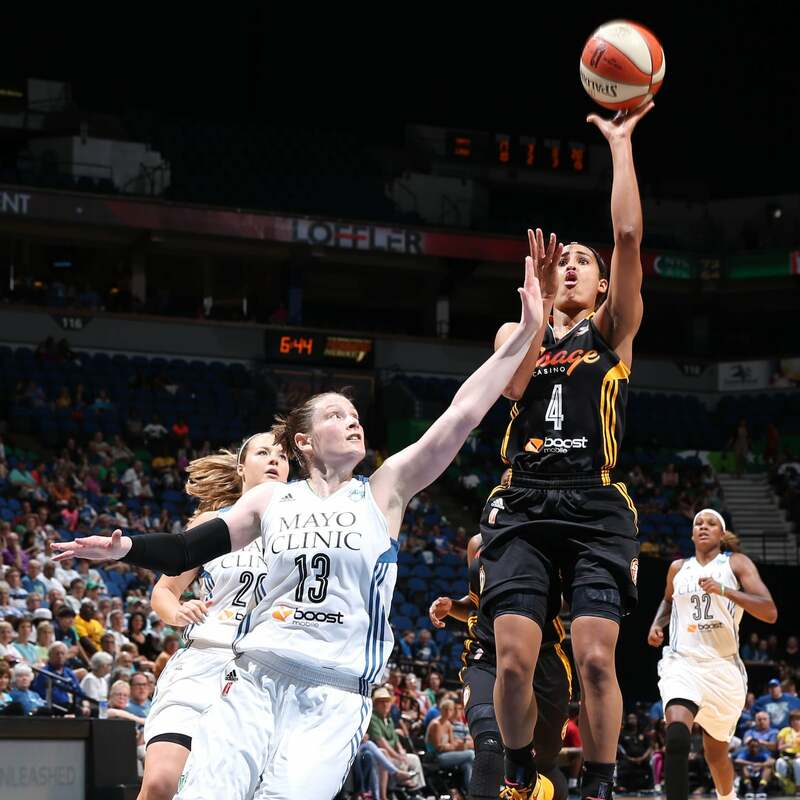 Shock guard Skylar Diggins scored 20 points in the second half to lead the Shock to victory. Diggins finished with 26 points and eight assists. 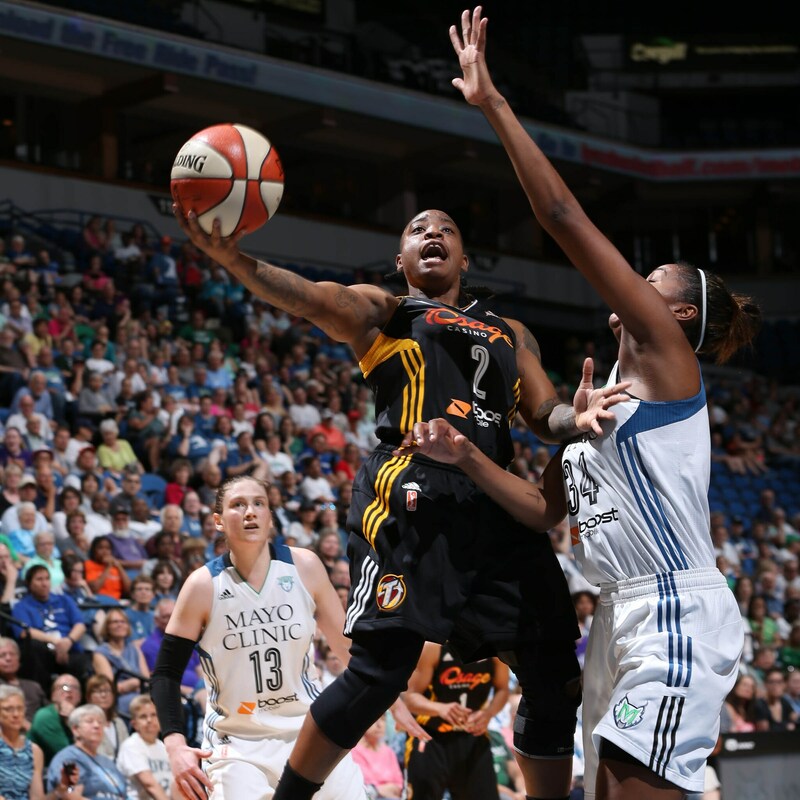 Lynx forward Rebekkah Brunson had a solid night against the Shock, scoring a team-high 18 points to go with nine rebounds. 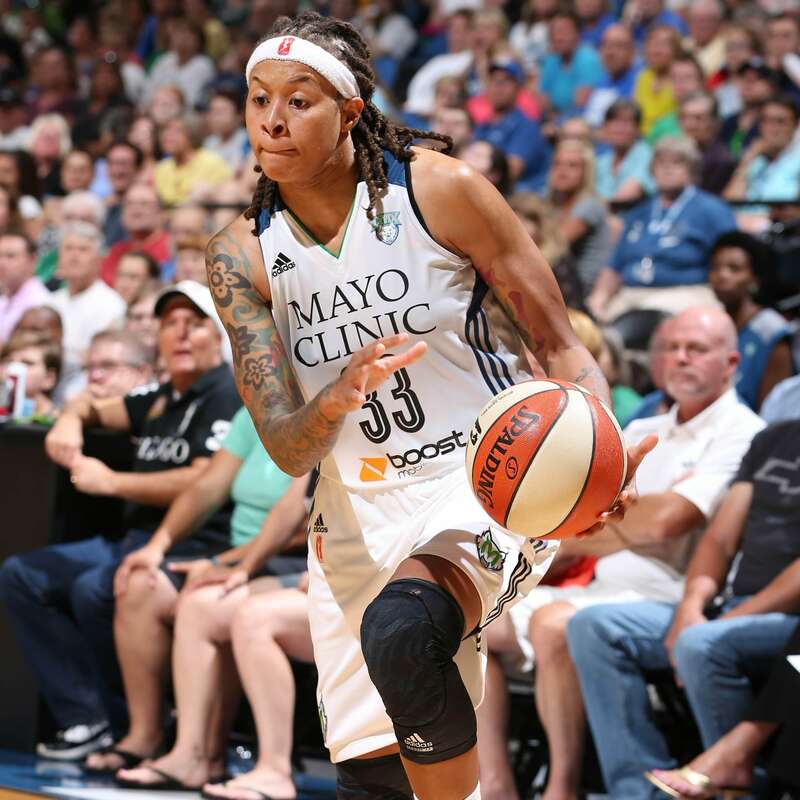 Lynx guard Seimone Augustus had a solid game, scoring 15 points on 7-of-13 shooting. 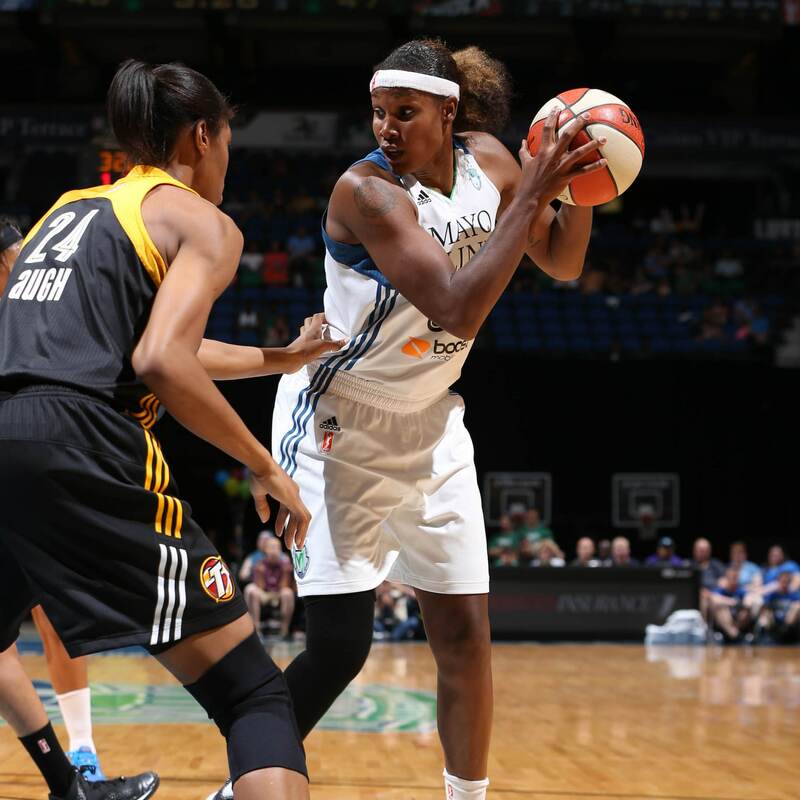 Lynx center Asjha Jones managed four points, two rebounds and three assists in just unde 17 minutes of playing time.